UPDATED INFORMATION ON AUDITIONS AND REGISTRATION WILL BE POSTED ON THE "AUDITION INFO" PAGE IN AUGUST 2015! *Please note: the piece "Sarah," being a newly commissioned work, is not available for purchase at this time. 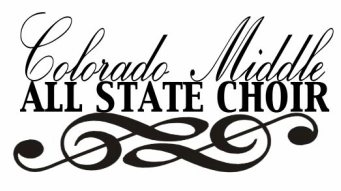 If at this time you require a copy, please email msallstatechoir@gmail.com, and a copy will be sent.